UMP | University of Minnesota Press Blog: Life on the edge in northern Minnesota border country. Life on the edge in northern Minnesota border country. 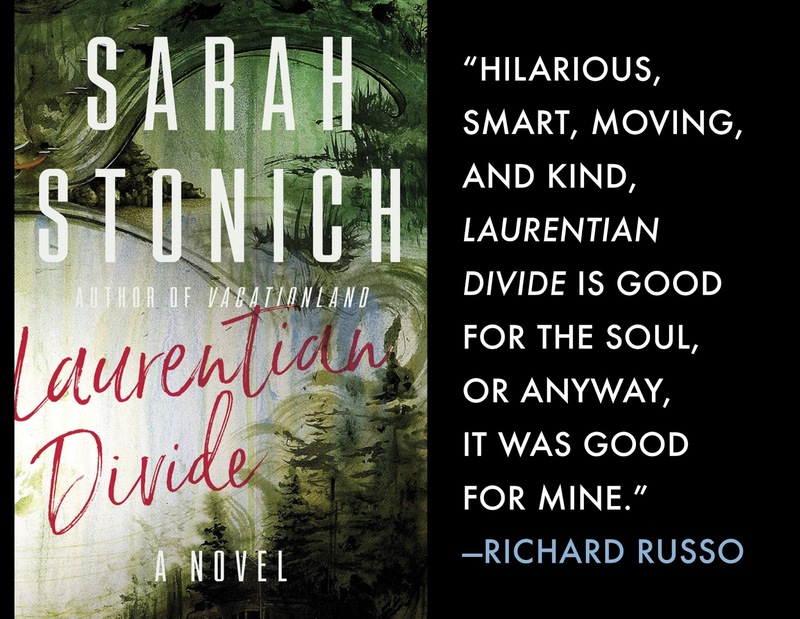 The title of this novel might sound like the answer to a trivia question—points for anyone who can draw the Laurentian Divide on a bar napkin, extra to mark where it meets the St. Lawrence in northern Minnesota. At this juncture, rivers flow in three directions: east to the Gulf of St. Lawrence, north to Hudson Bay, and south to the Gulf of Mexico. Known to Native Americans as the Hill of Three Waters, where the watersheds of the St. Lawrence and the Mississippi River systems meet the Hudson Bay basin, this was an important tribal gathering place for early Dakota, and later Ojibwe. The community of Hatchet Inlet is fictional but to me feels as real as the actual places that inspire it. Many characters are complex and often contrary: sometimes taciturn, sometimes generous, wary though often kind, typical traits in a place where cooperation can be a necessary survival skill. The geographical divide was a tempting metaphor for divisions within families, bickering communities, and cultures struggling to find common ground. As a writer, I'm ultimately more interested in what unites us than what divides us, the notion of opposing forces meeting to form something "other" sometimes in unexpected or mysterious ways. I'd like to meet with readers, writers, and librarians to talk about the quiet activism of stories and literature in an era of loud headlines. I look forward to taking this novel on the road to visit colleges, libraries, and bookstores across the state and beyond. Maybe we'll see each other on the road to Hatchet Inlet! Events for Laurentian Divide are listed here. The topic over breakfast in Pavola's is death. Not the sort occurring weekly up at Senior Cedars, where grannies in mobility scooters and walkers thump along in their derby to the finish, and not the tragic sort that floored Hatchet Inlet last fall after Kelly Rantala and Jessica Wiirtinen were killed in a drunken swerve. The death patrons of the diner mull over this bracing May morning is theoretical, regarding the current status of Rauri Paar, who may be dead, or—not to split hairs—is maybe not alive. Pete Lahti holds the little metal pitcher just so, watching half & half meet his black coffee in a tiny Hiroshima bloom. Indeed, if Rauri is dead—and this might be a rugged image for so early in the day—somebody'll have to go out there and peel him off his cabin floor or search is island for gnawed remains. Maybe drag the bay. Pete listens as the caffeine-fueled debate revs and idles across booths, down the straightaway of the counter. Sitting next to him, Pete's father, Alpo, only nods. Every morning since ice-out on the big lake there's been talk. Usually, ice-out this far north in Minnesota is in April—in a bad year like this, as late as May. As soon as ice on the big lake breaks up, Rauri's smaller lake follows suit. Once it's navigable, he straps on a harness like some husky and humps his Alumacraft up the corduroy portage. Beyond Rauri Lake (no one remembers its actual name), it's an easy enough slide down the south side of the Divide, which lands Rauri on the banks of the Majimanidoo, where snowmelt can roil it into a carnival ride. Dodging ice chunks the size of coolers is no easy feat in a twelve-foot fishing boat with only a 10-horse Evinrude. Rauri could be bobbing like a cork around the Laurentian Divide. Pete's made the journey to Rauri's place a few times, once years back and again on his own last fall when he went out to put down Rauri's old spaniel, Scotty. It's no stroll. The one thing everyone in the diner agrees on is that Rauri should have shown up by now. You can say "Spring is here," or you can say "Rauri's back." His arrival marks the start of the season, and when weather is slow to warm and cabin fever's not yet broke, you might hear someone mutter, Where in hell is Rauri Paar?" Some won't set seedlings in their windowsills until they've seen the whites of Rauri's eyes. When he does show, it's first things first: he drops a toxic load of laundry at the Wash & Gogh, then it's straight to the barber for a haircut and hot lather shave. Once his bushman's eyebrows are trimmed and he's wearing a fumigated shirt, he'll beeline to the produce aisle at Putzl's and stand gawking as if at a centerfold, stuffing himself with fresh anything—gnawing parsley while juggling limes and tangelos into this cart. Lastly, Rauri makes his way to Pavola's, where he takes center stool to enjoy his first fresh eggs since November. Regulars ignore the yolk on his chin and coax an account of his winter out of Rauri. No great storyteller but a wiz at figures and facts, he regales them with a litany of temperatures and wind speeds, snowfall totals, ice depths, pounds of propane used, boxes of Bisquick consumed, cords of birch burnt. They prod for more. The core of their curiosity regards loneliness, but no one asks outright how he hacks it—every winter out there by himself. Instead, he offers a picture of his season like a paint-by-number of facts: biggest fish, wildlife visitations, vermin infestations, magazines read. Monochrome at best, the sections are slowly filled in with what DVDs got watched and how many times, what supplies were run out of—the previous year it had been cooking oil and Preparation H. Rauri might describe notable meals cooked: his personal best had been a haunch of wolf-killed doe with chanterelles glazed in a reduction of maple syrup and vodka, a side of fiddlehead ferns sauced with condensed milk and nutmeg. Worst was a stew of jerky shards and limp carrots in a base made from the last bouillon cube, garnished with moldy Parmesan and consumed sober. If anyone had taken note of the Northern Lights over the winter, Rauri could remind them of the exact dates and times, and how many minutes or hours they had waltzed. No nuances from Rauri, barely an adjective, but if it's facts you're after, he's your man. Pavola's patrons assume that Rauri is thrilled to be among them, and they unconsciously note who his gaze returns to, whose hand gets shaken most vigorously, whose back is slapped most mightily. Who had Rauri missed? 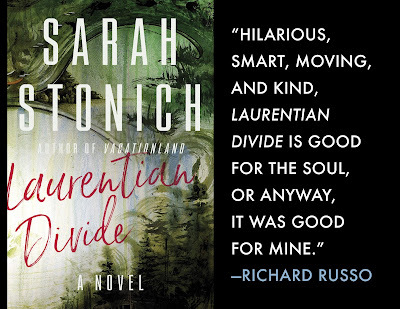 Sarah Stonich is the best-selling author of These Granite Islands (Minnesota, 2013), which has been translated into seven languages and shortlisted for France's Grand Prix des Lectrices de Elle; the critically acclaimed novel The Ice Chorus; and a memoir, Shelter: Off the Grid in the Mostly Magnetic North (Minnesota, 2017). Her novel-in-stories, Vacationland (Minnesota, 2013), is the first volume in her Northern Trilogy, followed by Laurentian Divide.